A man has a history of osteoarthritis in his right hip. After conservative measures are unsuccessful in substantially improving his symptoms, the defendant doctor, working for Atlantic Orthopaedics, P.A., recommends a total right hip arthroplasty. The defendant orthopedic doctor performs an arthroplasty at Atlantic General Hospital in Berlin, Maryland. Two days after he is discharged, the man hears his hip pop as he arises from the toilet. Unable to move his leg or bear weight, the man is transported by ambulance to Atlantic General Hospital. The man's hip is dislocated. A hospital doctor reduces the hip with the assistance of the emergency physician on duty, and the man is discharged to a rehab facility. A week later the man sees the defendant doctor for a follow-up visit. The defendant doctor recommends routine physical therapy, use of a walker, and a follow-up in one month. In the second follow-up, the defendant doctor recommends the use of a cane and a third follow-up two weeks later. Before the third follow-up, the man arises from a chair to have his hip dislocate again. Again the man is transported to the emergency room, his hip is reduced, he is discharged home, and he is told to follow-up with the defendant doctor. This time, the defendant doctor recommends revision surgery. The defendant doctor performs the revision surgery. Approximately six weeks after the revision surgery, the man's hip dislocates for the third time. After another trip to the emergency room, the defendant doctor recommends physical therapy and a follow-up visit in six weeks. Before the follow-up visit, the man's hip dislocates for the fourth time. The defendant doctor performs a second revision surgery. After the man continues to experience pain and discomfort in his hip for several months, he visits a new doctor. The new doctor recommends that the man wait for one year to pass before the hip is further evaluated. At one-year post-revision surgery, the man has some improvement in his hip. However, his symptoms begin to return intermittently over time. At approximately one and a half years post revision surgery the man notices a clicking in his hip and returns to the hospital. It is revealed that the hips' femoral head and the constrained liner, both placed by the defendant doctor in the second revision surgery, have been dislocated. The new doctor performs a third revision surgery on the man's hip. Since this revision surgery, the man's activity has steadily improved, and he has returned to employment. His hip feels more stable than at any time since the original surgery by the defendant doctor. The man files a medical negligence lawsuit against the defendant doctor and Atlantic Orthopaedics, P.A. in Worcester County. 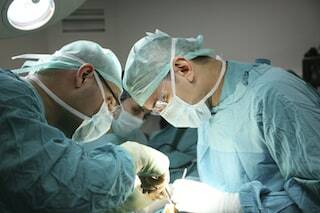 The man alleges that the defendants violated the standard of care by failing to (1) correctly identify the correct procedure and determine whether the man was a candidate for surgery, (2) properly evaluate the man's post-operative complaints and determine the need for revision surgery, (3) determine the correct procedure for revision surgery. The man contends that as a result of the defendants' negligence he has been forced to undergo multiple revision surgeries, extend his physical therapy, and sustain severe, painful, and permanent mental and physical injuries. The man and his wife also file a loss of consortium claim against the defendants. Agency/Respondeat Superior/Vicarious Liability - Atlantic Orthopaedics, P.A. This is the 24th malpractice lawsuit filed in 2016. It is the first malpractice suit filed without a lawyer. This case was filed on the eve of the statute of limitations in this case. The lawsuit is very well drafted. Either the plaintiff did a good bit of research or a lawyer drafted this complaint for him. If the statute of limitations is close, some malpractice lawyers will prepare the complaint for the plaintiff while they investigate the claim. No certificate of merit was provided with this lawsuit. The claim will be likely be dismissed if one is not provided within 90 days of the filing of the claim. If you have been harmed by a surgical error, we can help you get the justice and compensation you deserve. Miller & Zois has a history of results, earning substantial verdicts and settlements in surgical malpractice injury and wrongful death cases. Speak to an attorney today at 800-553-8082 or get a free, no obligation online case review. What is the most you can get for a medical negligence claim in Maryland? CALL 800-553-8082 or get a free online medical malpractice injury and wrongful death claims. We handle claims throughout the entire state of Maryland.